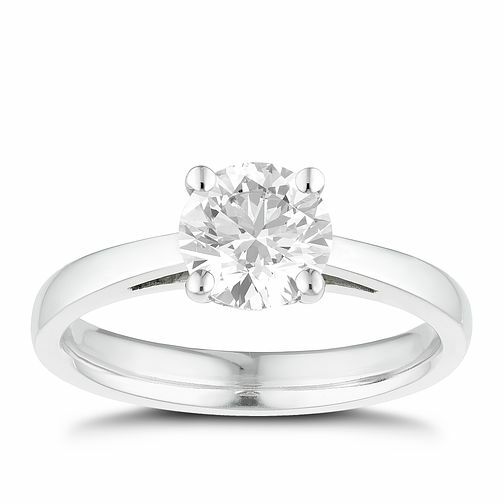 Tolkowsky platinum 1ct diamond solitaire ring that's I I1 in colour and clarity. Classic four claw setting encasing a brilliant cut diamond. Each Tolkowsky diamond comes with a gemological certificate. Browse our diamond buyer's guide for more information on diamond quality. Tolkowsky platinum 1ct I-I1 diamond ring is rated 5.0 out of 5 by 1.